Birds of paradise eat a range of food types (omnivorous), but they seem to be primarily fruit and arthropod eaters. Only the Cnemophilinae appear not to eat arthropods. Collectively, birds of paradise are known to eat fruits of several hundred plant species, flowers, nectar, leaves, insects, spiders, frogs, and lizards. 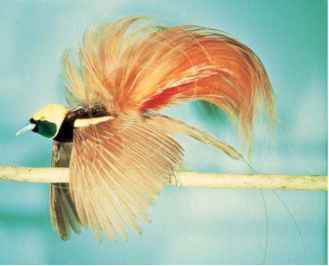 Most typical birds of paradise initially feed nestlings arthropods but switch to a predominantly fruit or mixed fruit and arthropod diet after a certain age. Parent birds of paradise regurgitate food items to young. Birds take insects by bark gleaning, dead wood/foliage probing/tearing, and generalized twig and foliage gleaning. The sexes of predominantly insectivorous species show marked sexual dimorphism in bill size and shape, presumably to limit intersexual competition for this resource. 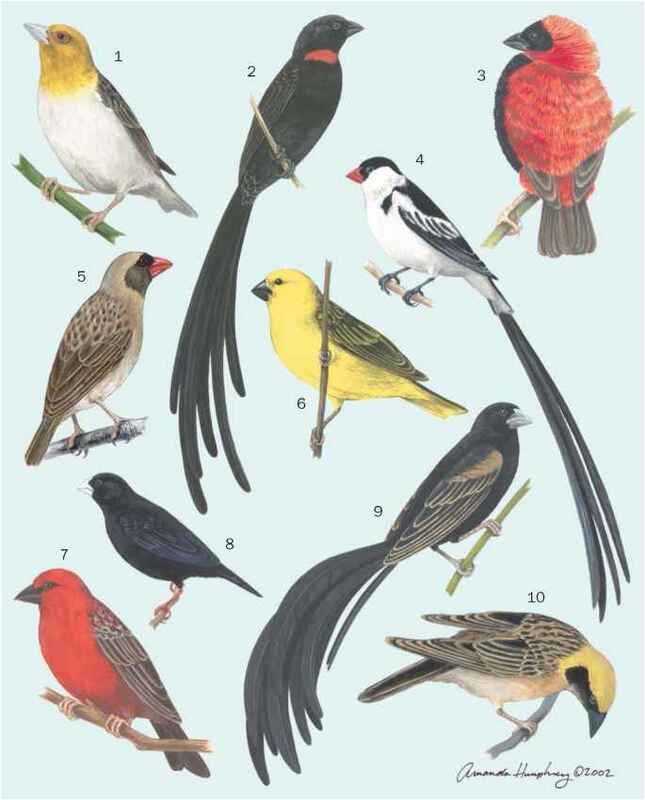 Other than foraging in ones or twos, birds of paradise (mostly brown female-plumaged individuals) commonly join mixed species foraging flocks of typically brown and/or black birds, predominantly in lowland and hill forest.